« Is Grass Fed Beef For You? 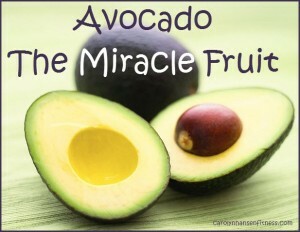 Avocados are amazing fruits and the health benefits of avocados have been known for a long time. However, few are aware that avocados can help in your diet, and prevent disease. You could consider the avocado the perfect food because they contain all 18 essential amino acids plus all 7 fatty acids (including both omega 3 and 6). This oval green queen is rich in valuable protein (contains more than cow’s milk) and fiber while providing important antioxidants. Additionally, avocados contain lots of potassium and sodium protecting your arteries. Too much salt is bad for our heart and cardiovascular system and avocado eliminates the risk to a great degree and the folic acid found in avocados protects the heart. Avocados are easily digested and their water content, ranging from 70-80% is hydrating to the body while producing energizing fuel for the body to burn. Findings indicate that avocados contain a biochemical called lutein…a carotenoid that helps protect against various forms of cancer. They also contain fatty acids that are among some of the healthiest fats known to prevent breast cancer and heart disease. Monounsaturated fats, saturated fats and polyunsaturated fats are all found in avocados. The first two serve as food energy sources for our fuel and the last one, polyunsaturated fats help with cellular construction. Consuming avocados is beneficial to your eyes also because the fruit contains lutein, one of over 600 carotenoids…a substance that prevents cataracts and macular degeneration. Bottom line is the avocado is one of the most important foods you can turn to balance the endocrine or energy systems of your body. You don’t have to resort to eating avocados plain…avocados are a great fat to replace the bad fats when you are creating those great raw food desserts for your friends and family. Place almonds into a food processor and process until broken down and resemble bread crumbs. Add dates, coconut and cocoa powder and process until a sticky dough is formed. Press evenly into a pie place or dish. Process cashews until they resemble bread crumbs. Add avocados, lime juice and zest, honey and coconut oil and pulse until well combined and mixture is thick and creamy. Spoon out evenly into base of pie. Place in fridge for an hour or two to firm up and set before serving. If you loved this one, check out more great raw food recipes using avocados and other great raw food ingredients “Healthy Raw Desserts” …snacks, treats and desserts you can feel good about!